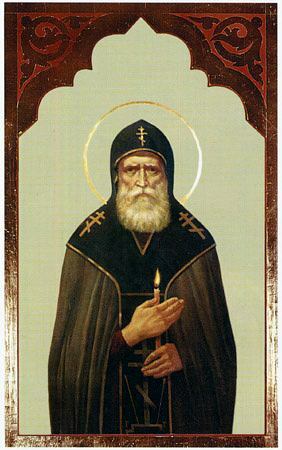 For a long time he besought his parents to send him to the Kiev Caves Lavra. When they brought their son to the famed monastery, they then began to pray for him to be healthy. 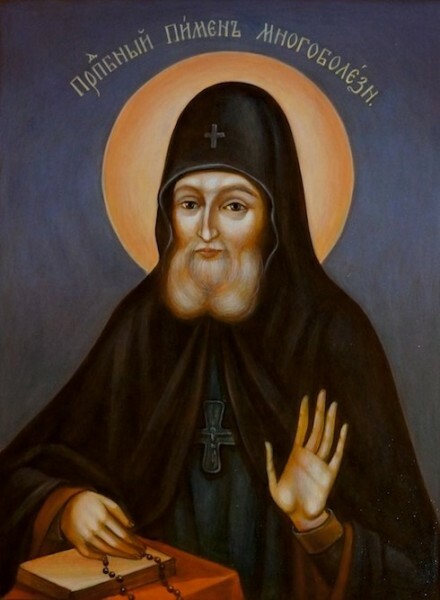 But the sufferer himself, conscious of the high value of suffering, instead asked the Lord both for the continuation of his sickness, and also his tonsuring into monasticism. Saint Pimen spent twenty years in grievous sufferings. One day, as the angels had predicted, he became healthy. In church, the monk took leave of all the brethren and partook of the Holy Mysteries. 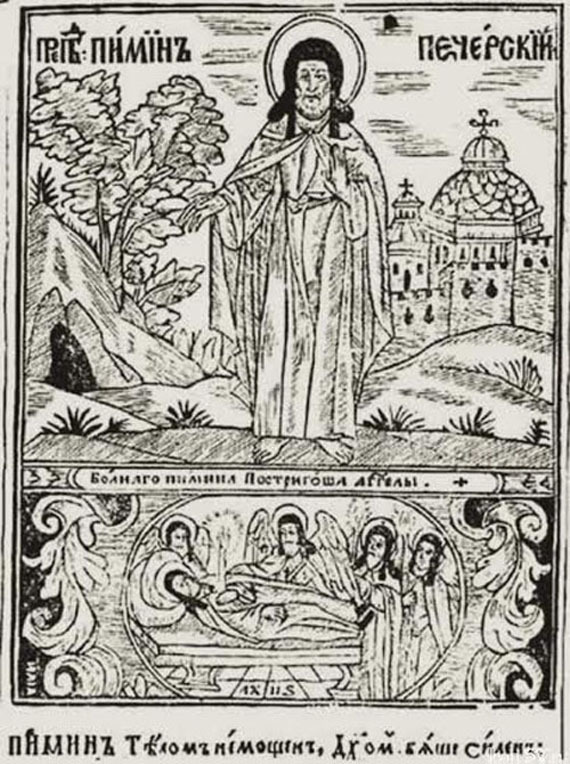 Then, having bowed down before the grave of Saint Anthony, Saint Pimen indicated the place for his burial, and he himself carried his bed there. Pointing to those buried there, one after the other of the monks, he predicted that the brethren would find one buried in the schema to be without it, since this monk had led a life unworthy of it. 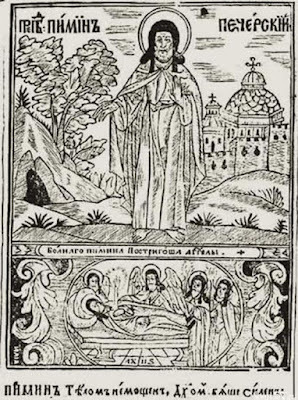 Another monk, who had been buried without the schema, would be found clothed in it after death, since he had greatly desired it during his life, and he was worthy. Then Saint Pimen lay down upon his bed and fell asleep in the Lord. The brethren buried him with great honor, glorifying God. 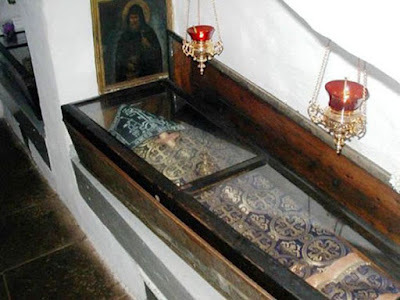 The relics of Saint Pimen rest in the Near Caves of Saint Anthony.